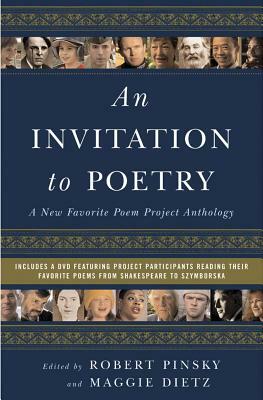 In both the book and the videos on the accompanying DVD, poems by Sappho, Shakespeare, Keats, Whitman, and Dickinson as well as contemporary poets are introduced by people from across the United States--a construction worker, a Supreme Court justice, a glassblower, a marine--each of whom speaks about his or her connection to the poem. Their comments are variously poignant, funny, heartening, tart, penetrating, and eccentric, showing some of the ways poetry is alive for American readers. An Invitation to Poetry will inspire a fresh experience of poetry's pleasure and insight.